After the human exploration ship Bascom Hall crash-landed on the Hspa Nki's homeworld, the aliens allowed the survivors to settle on a high plateau with air too thin for the aliens-but just right for humans. For decades, the two races lived apart but at peace.When a ship from Earth blazed through the skies, the Hspa Nki journeyed up to the plateau and demanded a retroactive land tax the settlers could not pay. But the aliens took a keen interest when they saw settlers playing ultimate flying disc, and the aliens loved to gamble. 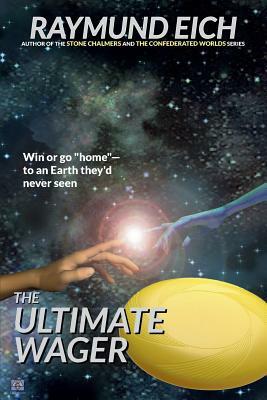 They offered to cancel the tax-if the settlers could beat them at the game.Now, Connor and a team from the settlement journey to the thick air of the planet's lowlands, into a crowded alien city, with one mission: win or go "home"-to an Earth the young team had never seen.